Rare’s VP for the Philippines Rocky Sanchez Tirona (front row, left center) and Department of Finance-Bureau of Local Government Finance’s (DOF- BLGF) Executive Director Niño B. Alvina (front row, right center) join participants of a workshop led by Rare during the 2018 East Asia Seas (EAS) Congress, November 27-30 in Iloilo, Philippines. At the end of 2018, Rare signed three pioneering Memorandums of Understanding (MOUs) with national government agencies in the Philippines. Together, these MOUs will propel momentum on tackling two issues of critical significance to the coastal fisheries sector—climate change and sustainable financing—and accelerate national adoption of the Fish Forever approach. The Department of Finance – Bureau of Local Government Finance (DOF-BLGF) signed an MOU with Rare to enable more self-sustaining Local Government Units (LGUs); creating mechanisms through which LGUs can implement more sustainable financing and resource mobilization and management. The BLGF supports policy formulation and implementation related to local government revenue administration and fund management; hence, one of its goals is to develop and implement plans and programs that improve LGU’s resource management, financial inter-local government cooperation, and credit utilization schemes. Under this partnership, Rare will co-design a blended finance framework for such cooperation, conduct full financial analysis and profiling of 75 partner Local Government Units, and deliver training to LGUs on fiscal sustainability, revenue generation, and municipal bonds and issuance, among other topics. Further, Rare and the League of Municipalities of the Philippines (LMP) signed an MOU to build coastal LGUs’ capacities in performing their directives to conserve, manage and protect coastal and fisheries resources in municipal waters. The LMP’s mission is to support all municipal governments in the Philippines with ‘relevant and adaptive best practices, linkages to pertinent international and local organizations, capacity development, research, and advocacy services.’ Under this partnership, both organizations commit to identify and pursue policy pathways that ensure municipal fishers’ preferential rights, replicate the establishment of managed access areas with reserves, form savings clubs, and implement behavior adoption strategies. In March 2019, Rare, the Department of Agriculture – Bureau of Fisheries and Aquatic Resources (DA-BFAR), and LMP will also co-convene a Coastal Fisheries Summit, gathering up to 800 mayors of all coastal municipalities of the Philippines to discuss policy issues, including preferential rights, sustainable financing, and climate change. During the Summit, they will also draft policy statements to recommend targeted actions for implementation by the national agency. Rare will share our initiatives and innovations around coastal resource and fisheries management as an integral part of the summit agenda. Lastly, the Philippines’ Climate Change Commission (CCC) signed an MOU with Rare to support communities in adapting to climate change. The CCC is the Philippines’ lead climate change policy-making body related to adaptation and mitigation. Under this partnership, Rare will create modules to establish Local Climate Change Action Plans for coastal local governments and build absorptive capacity for them to access and implement climate financing through mechanisms like the People’s Survival Fund. 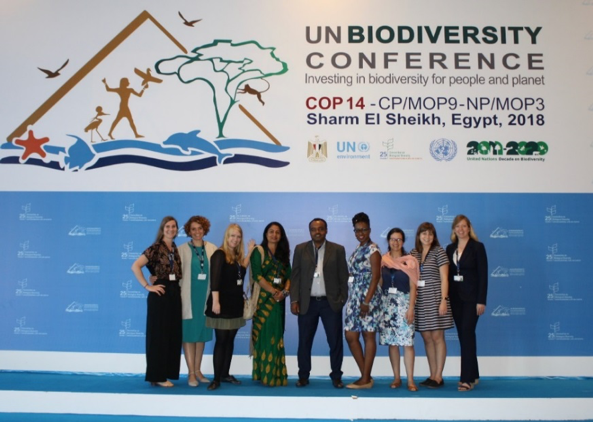 Rare’s delegation at the 14th global United Nations Biodiversity Conference (CBD COP14), Egypt, November 17-29 included three community leaders from Kenya, Nepal and Ecuador (center; read their story). Prominent on the agenda and in discussions about the CBD’s post-2020 framework were marine and coastal biodiversity issues and the need to use behavioral insights to support the transition towards sustainable and inclusive natural resource management. At multiple side events and discussions, Rare and its local partners underlined communities’ important contributions to achieving the global Aichi conservation targets. Rare also launched the Farming for Biodiversity report at the conference, which showcases the inspiring work and innovative ideas of small-scale farmers and agriculture practitioners from communities all over the planet. 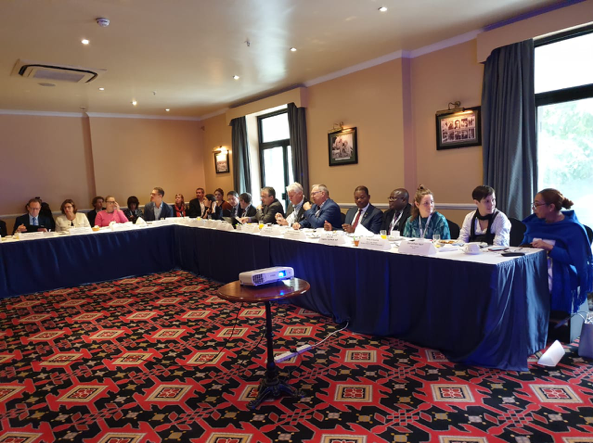 Together with the Government of Sweden, Rare facilitated a high-level dialogue among governments, NGOs, and sector experts to discuss sustainable small-scale fisheries’ role within the context of a sustainable blue economy during the first global Sustainable Blue Economy Conference in Nairobi, November 26-28, 2018. Attendees, who included relevant national ministries and agencies from Sweden, Norway, Canada, European Commission, Mozambique, Germany, and Costa Rica alongside the GEF, UN, FAO, World Bank, IUCN, and numerous NGOs, underscored the importance of the sector’s many contributions to the Blue Economy and the 2030 Agenda for Sustainable Development. They also emphasized the urgent need to value and spotlight these contributions. The timing for such a convening is important—both for mobilizing the will for urgently-needed collective action on small-scale fisheries and doing so ahead of significant milestones for the international ocean community (Our Ocean 2019 in Norway, 2020 in Palau, and CBD COP 15 in China). Small-scale fisheries (hereafter, ‘SSF’) remain significantly under-valued, yet their potential contribution to a sustainable blue economy and integrated achievement of SDG14 and the 2030 development framework is widely recognized and encouraged. Evidence suggests that achieving sustainability in SSF through improved management, community empowerment, and social cohesion, as well as financial literacy and inclusion, enables the sector’s contribution to a sustainable blue economy. Therefore, increasing capacity building, strengthening governance frameworks, and adapting innovative financial products for coastal fisheries will increase community readiness to absorb funding and financing. Strategic financial facilities, such as PROBLUE from the World Bank, the GEF International Waters Program, and the Blue Natural Capital Financing Facility can also enable and increase financial absorption, readiness, and investment in the sector. Science, information, and communication technologies (ICT) play a key role in improving SSF management, regulation, and reporting, along with registering fishers and recording landed catch value—and are fundamental to the social, economic, and ecological enabling conditions for investment in the sector. Applying rights-based approaches, identifying appropriate regulatory frameworks, considering SSF within the context of food systems, health, and the rural economy, adding value to expanded supply chains, identifying alternative livelihoods, and further integrating within Agenda 2030 are additional considerations for building readiness and investment. The discussion highlighted that while some collaborations and multilateral efforts exist, encouraging further cross-sectoral partnerships would help to mobilize knowledge, data, capacity building, funding, and collective action that can leverage project finance and implementation. The Government of Sweden and Rare will look for opportunities to reconvene this group in the coming year. Taufiq Alimi, Vice President of Rare in Indonesia, at the 24th UN Climate Change Conference (UNFCCC COP24), December 3-14 in Katowice, Poland. Taufiq Alimi, Vice President of Rare in Indonesia, at the 24th UN Climate Change Conference (UNFCCC COP24), December 3-14 in Katowice, Poland. 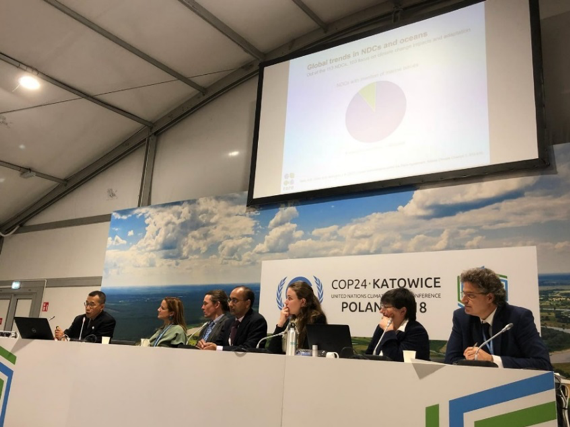 Rare co-hosted a side event, Raising the bar on nature-based solutions in NDCs, alongside IUCN, TNC, Wetlands International, and WCS; panelists included representatives from Oxford University and Agence Française de Développement (AFD). The event focused on strengthening the inclusion of nature-based solutions in Nationally-Determined Contributions (NDCs). Rare and its partners will continue working with the national and local governments of the Philippines, Indonesia, and Micronesia to include oceans and small-scale fisheries-related policies, commitments, and actions in their national adaptation plans and NDCs to support and strengthen fishing-dependent communities’ resilience. Fourteen national and regional government institutions (two from the Ministry of Environment and Forestry and 12 from Province and District Offices for Fisheries and Marine Affairs) hold up the province-wide agreement to implement a managed access with reserves approach across Indonesia’s Southeast Sulawesi province. Southeast Sulawesi province, on Indonesia’s Sulawesi Island, is a cornerstone for small-scale fisheries recovery and reform through Fish Forever. With over 600 islands and 1,000 miles of coast, its coastal fisheries provide valuable social and economic benefits for the province. And importantly, SE Sulawesi is building the example for how provincial government can effectively devolve management of coastal waters to communities under their jurisdiction. 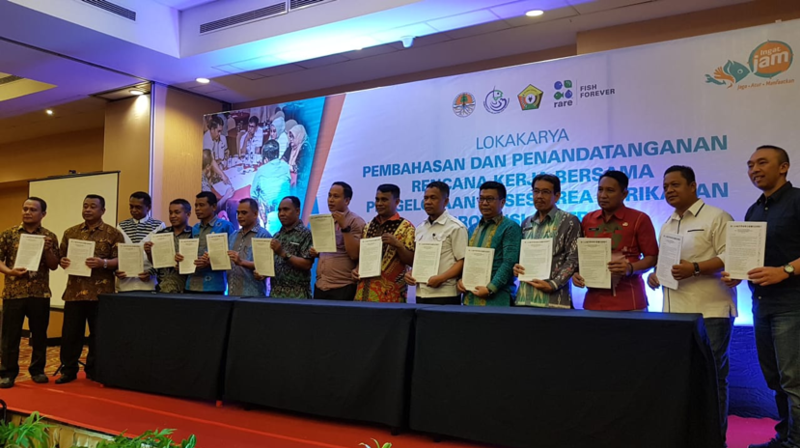 On December 20, 2018, fourteen government institutions (two from the Ministry of Environment and Forestry and 12 from Province and District Offices for Fisheries and Marine Affairs) officially signed an agreement with Rare to apply a ‘managed access with reserves’ approach to managing small-scale fisheries in Indonesia’s Southeast Sulawesi (SES) province. This technical agreement and a consolidated workplan that identifies joint activities and budget resources from government agencies will be the first such province-wide application of Fish Forever’s approach. The program seeks to improve the management over 220,000 hectares of managed access areas with an integrated reserves network to protect essential fish habitat and important biodiversity hotspots across 22 coastal areas in 10 districts. The aim is to create a model for both governance and management that other provinces can replicate in the future. Upon completion, SES will have the most extensive managed access area network in Indonesia. Further, on December 31st, the SES Government enacted Regional Regulation Number 9/2018 on SE Sulawesi’s Coastal and Small Islands Zoning Plan. This first-of-its-kind regulation solidifies the SES Government’s commitment to implementing managed access with reserves province-wide. The zoning plan now stipulates managed access and permitting within various articles (particularly Articles 29 and 51)—prioritizing 0-2 nautical miles (2.3miles / 3.7km) from the coast for small-scale fishers, local communities and traditional communities and providing the regulatory basis for developing managed access with reserves throughout provincial waters up to 12 NM (13.8 miles / 22.2 km) from shore. Rare, in partnership with WWF, has worked closely with the SES Province Office for Marine Affairs and Fisheries for over two years to finalize this provincial marine spatial plan. In addition to providing substantial inputs, Rare also facilitated the regulation’s procedurally-required endorsements by the Ministry of Marine Affairs and Fisheries and Ministry of Home Affairs. Dr. Bob Pomeroy is a Fisheries Extension Specialist with the University of Connecticut Sea Grant Program. His areas of professional interest center on marine resource economics and policy—specifically, small-scale fisheries management and development, coastal zone management, aquaculture economics, international development, policy analysis, and seafood marketing. 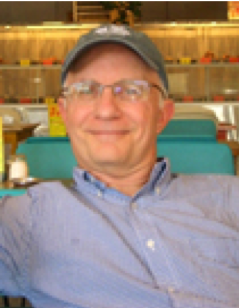 Dr. Pomeroy has worked on research and development projects in over 70 countries in Asia, Africa, the Caribbean, and Latin America and holds a. Ph.D. in Resource Economics from Cornell University. I started working in the Philippines in 1983 and have worked on small-scale fisheries issues for the last thirty years in developing countries. I began to engage more closely with Rare as the idea of this project with USAID, ‘harnessing markets to secure the future for nearshore fisheries”, developed. I was particularly interested because I did, and still do, think it was an incredibly innovative project that brought new strategies and innovations to work—trying to link markets and livelihoods to sustainable fisheries and trying to develop incentive structures for people to engage more, with more ownership, over these strategies. In the Philippines and many small-scale fisheries around the world, the fisheries are extremely overfished, and there Isn’t enough recognition that we need to begin to develop alternative, or supplemental, livelihoods to help the households so dependent on the resources begin to shift and become more resilient in other ways. And [it was important that] Rare began to recognize the need to focus on livelihoods. My Ph.D. is in Resource Economics, but you realize when you start to work in this field that one discipline is not enough to solve these issues. The key is that we need to broaden our perspective from just the fishery—and instead, focus on the household and ask ourselves, how do we make that household more resilient to all the drivers that are impacting upon it? A large part of that is expanding household livelihoods strategies to make them more resilient to these changes [climate change, increasing population, etc.]. A household receiving income from multiple sources will survive better than those just dependent on one source (fisheries). This GDA project training acknowledged that—it’s not just about conserving marine biodiversity, it’s ultimately enhancing and strengthening the household unit itself to be able to survive. A lot has been written about the theory behind developing household resilience, but its practical application hasn’t been broadly undertaken. In 2017, we published an analysis of livelihoods projects and programs for fishing communities in the Philippines, reviewing what works and what doesn’t and defining success by those interventions maintained by the recipients one year after the project ended. The analysis shows that in the past, only about 15-20% of livelihood interventions have been maintained. So, the question then became, how can we make these interventions more successful and sustainable? In assessing 15 out of 100 identified projects, we came out with numerous recommendations for future projects—one of which was the need to engage with the communities to find out what their needs are before developing projects, so they have ownership from the start. The few projects that did that were most successful. Unfortunately, the fish supply to maintain any demand created through the project isn’t there in the Philippines. We are working toward rebuilding the fisheries. But, as far as I’m concerned, our strategy is still sound—and I think it will be very important, in places where Rare works with more fish, to begin to apply and replicate the project. In 2018, Rare partner Centro de Estudios Marinos (CEM) facilitated three new no-take reserves in Honduras—White Water and Old Bank reserves in Utila Cay and French Key reserve in Roatan. While relatively small, together covering approximately 1,000 hectares, they contain essential coral reef and seagrass bed habitats—and importantly, were created using a community-led process, with fisher groups, local associations, and mayors advocating for their designation. Such an approach exemplifies the broader MAR whole seascape strategy of mobilizing coastal governments and fishing communities to develop networks of no-take reserves to replenish and sustain fish populations. These three new reserves now join 15 fully protected reserves already declared across the Honduran Caribbean. In West Papua province, the District Head of Raja Ampat’s Government Technical Implementing Unit (TIU) for marine protected areas recently pledged support for community-based marine surveillance in customary fisheries areas of Mayalibit Bay and the Dampier Strait; this includes the provision of 100 liters of fuel (approx. 26 gal.) for the 31 villages involved (population 7,200). Community-based surveillance is a first for these two areas—58,000 hectares of marine waters and habitats in Mayalibit Bay and 211,000 hectares in Dampier Strait—and will integrate with government-based surveillance and enforcement programs. Following this, from November 26 to December 1st, 2018, Rare and the TIU conducted a collaborative training on conservation and marine surveillance with representatives from 20 local villages TIU staff, Conservation International, the Maya Tribe Customary Council, marine police, and the District Office for Tourism. The training, which included presentations from various representatives, is designed to improve government officers’ and communities’ capacities to monitor and report violations of the managed access with reserves systems and reduce the number of future violations. RARE will continue to monitor and evaluate how communities conduct their surveillance, use fuel for surveillance activities, and importantly, exercise control over and safeguard their managed access areas through reporting and enforcement. The work in West Papua is supported by the USAID Sustainable Ecosystems Advanced (SEA) project. In part two of their conversation for Bloomberg Philanthropies’ Follow the Data podcast, Bloomberg’s Melissa Wright and Rare’s Steve Box discuss how Fish Forever is working “to give people greater certainty” and “enable them to be a part of a more secure future” through more sustainable fishing practices. Part I: Episode 29: Why are small-scale fisheries such a big deal? From Nov 26-Dec 1, Rare convened 50 key influencers of Brazil’s small-scale fisheries sector from Pará, Maranhão, Piauí, and Pernambuco states to evaluate Fish Forever’s progress in the country. These influencers included national and government agencies (CONFREM and SEDAP), philanthropic institutions (Instituto Humanize), Fish Forever Campaign Managers, implementing partners from local associations, *RESEX managers from ICMBio (*marine and coastal extractive reserves), and monitoring and evaluation (M&E) co-delivery partners from universities. Highlights: Implementing partners acknowledged that the professional and social development within the Fish Forever curriculum enhanced their capacity, and that of their institutions, to lead and govern coastal fisheries issues; Campaign Managers recognized the need to involve youth in understanding and managing coastal resources to advance sustainable fisheries use and stewardship; and growing collaborations between fisher groups and universities are supporting more efficient participatory management in RESEX and APAs. With Rare in Brazil transitioning to working more explicitly in Pará and Pernambuco, such training is essential for sharing and inspiring progress in other coastal states. Check out this video by Brazil’s largest TV network, Globo, on small-scale fishers in Maranhão. Dale Gavin, Managing Partner of the Meloy Fund I, LP., and Aimee Gonzales, Executive Director of PEMSEA, discuss creative solutions for balancing the need for sustainable fishing with protecting the livelihoods that depend on it. As referenced in the above interview with Dr. Bob Pomeroy, this study develops an economic strategy that builds community resilience through improved household assets to reduce risks and vulnerabilities of small-scale fishing households. The strategy includes increasing the value of the fisher’s catch and access to financial services. The authors conclude that linking household livelihood intervention to sustainable fishing behaviors is fundamental to benefitting biodiversity conservation and people’s livelihoods. Dean A.J., Fielding K.S., Wilson K.A. (2019). Building community support for coastal management — What types of messages are most effective? Environmental Science Policy (92): 161-169. This study examines the effectiveness of different messages in engaging human communities to support sustainable coastal management. Economic benefit messages were less effective than environmental or lifestyle messages. Factual arguments were more effective than moral arguments. All messages were ineffective in changing behavior adoption by political conservatives. This study highlights the importance of aligning specific message content with audience values. This pilot study assesses the potential use of smartphones and the Open Data kit software to help in the collection of shark landings data in southwest Madagascar. The study found that with proper training, data collection using smartphones is comparable to data collection using paper notebooks regarding speed, accuracy, and user experience. Challenges to smartphone technology include poor mobile coverage in some regions. Chuenpagdee R., Jentoft, S. (2019) Transdisciplinarity for Small-Scale Fisheries Governance: Analysis and Practice. MARE Publication Series, Vol 21, Springer, 473 p.
This new book addresses key questions about transdisciplinary knowledge and actions for small-scale fisheries governance as well as how to integrate scientific and experiential learning to achieve sustainability of small-scale fisheries. The book discusses topics such as food security in small-scale fisheries; the economic viability of small-scale fisheries; markets, distribution and value chains; stewardship and sustainable practices; and fisheries governance, among others. McClanahan T.R. (2019). Coral reef fish community life history traits as potential global indicators of ecological and fisheries status. Ecological Indicators 96(1): 133-145. This study shows that fish biomass and length-based traits may be among the most important indicators to use in estimating sustainable fishing of small-scale fisheries that are often data poor. The author suggests that geography, environmental forces, fishing pressure, and the inherent complexity of reef fish communities need to be considered to establish meaningful benchmarks. Mcleod E., Anthony K.R.N., Mumby P.J., Maynard J., Beeden R., Graham N.A.J., Heron S.F., Hoegh-Guldberg O., Jupiter S., MacGowan P., Mangubhai S., Marshall N., Marshall P.A., McClanahan T.R., Mcleod K., Nyström M., Obura D., Parker B., Possingham H.P., Salm R.V., Tamelander J., (2019). The future of resilience-based management in coral reef ecosystems. Journal of Environmental Management 233(1): 291-301. This review analyzes the resilience-based management (RBM) approach in coral reefs to address stress tolerance, promote recovery and facilitate adaptation. The study provides management recommendations based on evidence of resilience principles and explains the challenges that management faces under climate change. That authors conclude that integration with existent policy frameworks and funding is crucial to scale up RBM globally. Cinner J (2018). How behavioral science can help conservation. Science 362 (6417): 889-890. This excellent perspective discusses how insights into inducing behavior change from the social and behavioral sciences are of critical importance for conservation. Byerly H., Balmford A., Ferraro P.J., Wagner C.H., Palchak E., Polasky S., Ricketts T.H., Schwartz A.J., Fisher B., (2018). Nudging pro-environmental behavior: evidence and opportunities. Frontiers in Ecology and the Environment 16(3): 159-168. This review assesses 160 experimental behavior-change interventions in several domains in which decisions have major environmental impacts such as family planning, land management, and water use. The analysis suggests that social influence and changes in decision settings can influence pro-environmental decisions. Fish Forever: A solution to coastal overfishing – delivered by empowering communities through clear rights, strong governance, local leadership, and participatory management – that protects essential fish habitat and regulates fishing activities to replenish and sustain coastal fisheries. Fish Forever Countries: Philippines, Indonesia, Mozambique, Brazil, and the Caribbean coasts of Mexico, Guatemala, Belize, and Honduras.